The review concerns the synthesis, structure, and chemical transformations of mercury derivatives of various polyhedral boron hydrides (carboranes, metallacarboranes, and boranes) and covers a period of time since the pioneering studies of Prof. V. I. Bregadze on chemistry of C- and B-substituted derivatives of icosahedral carboranes C2B10H12 up to date. 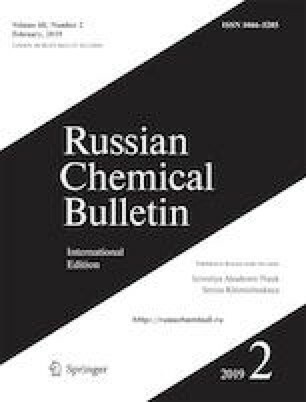 The emphasis is placed on recent results obtained in this field, in particular, Hg-promoted substitution in nido-carboranes as well as the synthesis and properties of mercury derivatives of monocarbon carborane anion [CB11H12]–. Dedicated to Professor V. I. Bregadze on the occasion of his 80th birthday. Published in Russian in Izvestiya Akademii Nauk. Seriya Khimicheskaya, No. 2, pp. 0217–0253, February, 2019.